The thing about the human mind is that it is a storehouse of memories. Yes, all it takes is a trigger for them to come tumbling down from the closet of your subconscious, where you intended them to stay in the first place. And yet, we never stop making memories. 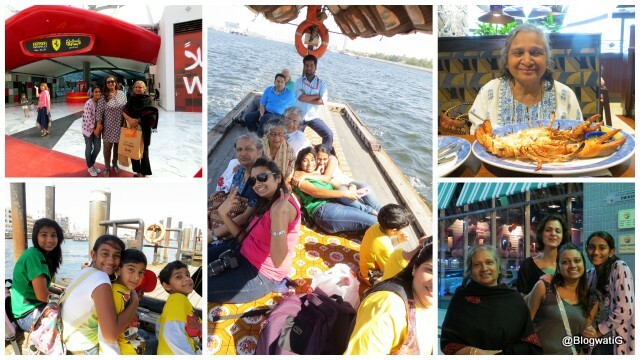 Our trip to Abu Dhabi this year, too, was made of many such fun moments that have become a part of that treasure chest of memories. With our families divided across countries, we dip into this Pandora’s box now and then to bridge the distance. Yes, communications is far easier than it was a decade ago. Family and friends are perhaps just a Skype away,or at a comment’s distance. Yet, moments that have gone by are the only companions that hold our heart as we close our eyes and reminisce. Truly, memories are the flowers in the garden of life. They bloom, and might fade with time, yet the fragrance is what lingers on for eternity. Thankfully, we now have digital cameras to capture some of them. Remember the days when you picked and chose 36 shots? Ah, yes, memories!